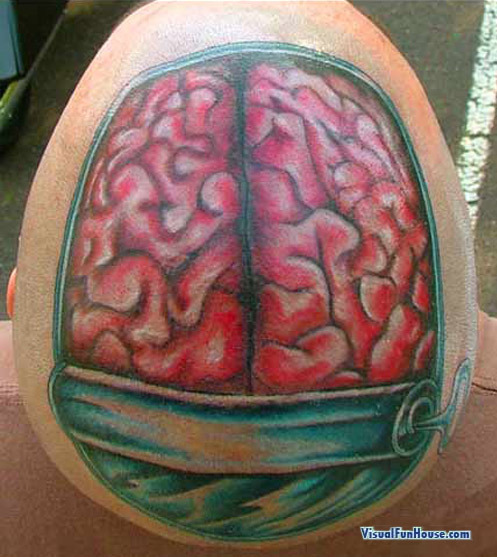 Brain Tattoo Optical Illusion is one strange tattoo, its more on the creepy side then the illusion side but still a neat effect. I have seen lots of strange tattoos including the Muscle Tattoo along with some of these other strange tattoo optical illusions. This Frankenstein style tattoo is a neat illusion in the fact that it appears to have the skin pealed open like a can revealing some lovely human brain in side, zombies would be all over this guy!